I've seen such an explosion of novels based on fairytales in the last few years, and I've downloaded several on my Kindle too. What is it about fairytale retellings that attract us? Do you like to read books based on fairytales? I thought the following article was an interesting discussion on this topic. Is There Still A Place For Classic Fairytales in Modern Fiction? It is interesting to see how fiction has moved with the times, and how stories have changed to appeal to more modern social norms. Back in the '70s and '80s, when many of today's authors were born, children's fiction tended to include a lot of classic fairytales, and this is evidenced from the huge popularity of Disney animated classics like The Little Mermaid and Aladdin. Disney did produce other, non-fairytale based properties, but these tended to stick in the memories of the generations far less than the classic retelling of old tales. This is why you will still find Disney princesses like Cinderella, Snow White, Jasmine, and Belle on products aimed at grown-up audiences who feel nostalgic about these characters, but not so much the characters from the Disney stable like Pluto and Donald Duck. Fairytales always had some questionable messages in them in terms of the way they presented romantic relationships as of the greatest importance in a woman's life, or that good people were always beautiful and mean people were always ugly. However, these were things that never seemed to matter back then. They were just stories for children to get excited about and were intended to teach any life lessons anyone would expect to be useful today. However, in modern fiction, both when it comes to books and TV, movies, and even video games, there tends to be a lot more analysis of what messages a work might be sending out - even when it is aimed at adults rather than kids. The line between what is intended for middle grade or young adult and what is marketed to adults has also been blurred a lot more in the 21st century, with many young adult franchises from Harry Potter through to The Hunger Games being enjoyed by adults just as enthusiastically as by the audience they were originally aimed towards. Does this mean that classic fairytale type stories are no longer appealing? Can you only write these if you put in some kind of quirk or deconstruction where the message is different and the characters can be positioned as role models? It is easy to see from Disney's own journey that they have gone down the path of changing and modernizing their princesses. They are now making stories that are more complex and less about the traditional themes of love and a happily ever after, and more about a character's personal journey, independence, and overcoming their problems. Frozen and Tangled are both very clear examples of this, and the same can be said for Moana. This approach has seen the traditional Disney fairytale princess story evolve into something that isn't traditional at all and has led to a resurgence in popularity of the brand, which was losing its way a little in the late '90s when the trend towards more humorous, 3D animated movies like Toy Story was first emerging. Disney got on board with that trend with their Pixar movies. There was still an audience for the over the top, all singing, all dancing princess stories too - they just had to change the formula a bit to reach it. This would indicate that the modern audience only really wants a classic story if something new has been done with it. However, there is other evidence that suggests it is not the case. 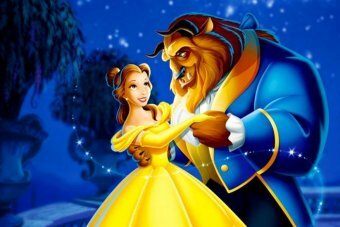 The live-action remake of Beauty and the Beast may not have been as big a hit as Frozen, but the excitement and hype around its release - largely from adults who loved the original movie, showed that there were still a lot of people who wanted to enjoy the very traditional love story of Belle and Beast again, even if it doesn't exactly translate into a 'great message for women' story! Additionally, there are a lot of people who are still very passionate about the old Disney films, with Disney VHS tapes worth a small fortune on the collectors' market. If you are considering writing a fairytale style story and don't want to change the tropes to make the love story less important or the heroine a modern, independent woman, there are other ways that modern fiction has changed these classic tales to try and give them a new perspective or appeal to a more modern audience. One thing we have seen done a lot in the past decade or so is darker adaptations of traditional stories, such as in the TV show Once Upon A Time or movies like Snow White and the Huntsman. The strange thing is, the original stories Disney based their fairytale adaptations on actually were very dark and often didn't finish with a romantic happy ever after at all! The stories were made 'lighter' and less horrifying to appeal to the audience of the time. This is why when we think of The Little Mermaid, we think that in the end she marries the prince and gets to live happily as a human. This is not what happened in the original story at all! You can, therefore, write something that will appeal to fans of darker stories using fairytales as a source of inspiration, but this is actually a far less novel approach than you might think! So, if you still love the idea of a fairytale romance story, complete with a princess, a handsome prince, and a happily ever after, can you do this and not look out of touch with modern fiction readers? The answer would seem to be yes. If you think about it, most romance stories have some elements in common with fairytales, and it is just the setting and supernatural elements that are missing - you may have a billionaire businessman as a hero instead of a prince, and problems other than curses keeping the couple apart, but the idea is the same. Essentially, if a fairytale with all the tropes is what someone wants to read, they know they can get lost in an escapist fantasy. This is true of children as well as adults, so if you are trying to write something that entertains and delights rather than teaches, keeping to those tropes is still something that can work.